Audi believes there is a ‘sweet spot’ for EV distance. The issue he is referring to is the fact that the majority of existing EVs don’t have a massive driving range, and even the best ones only do about 300 miles/ 482 kilometres on a single full charge. Pint was saying that in time engineers will find a ‘sweet spot’ in terms of driving range, and that this was unlikely to be much further than it is already. In his view 600 miles/ 965 km just doesn’t make sense. Why not, you may ask. Because such an extended driving range would mean the electric vehicles needed much bigger batteries and this may not prove cost-effective for the manufacturers or the customer. But, Pint is confident the industry and customers will arrive at a distance figure that feels comfortable. This will be influenced by the development of a network of fast chargers. Currently, there is a lack of these and because of the long distances between charging points, consumers tend to think that that EVs should be able to run for longer distances. With a major network of chargers that could juice a battery up in around 15 minutes, incredibly long ranges suddenly wouldn’t be necessary. It’s a kind of chicken and egg situation. 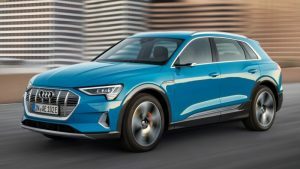 Audi’s first electric car, the e-tron SUV, provides a 249 miles/480 km range, a figure that’s seemingly in keeping with the first electric vehicles. What tomorrow’s limit for range development may be remains unclear. It could possibly go past 300 miles or even past 400 miles to make the electric car equivalent to a traditional car with a full tank of fuel. Ultimately, it is the consumer that will decide what they want. We provide Audi rental across Europe. See the Locations page for details. We can deliver your Audi to your hotel, home or airport. Hire an AUDI today! The fastest car on the road! 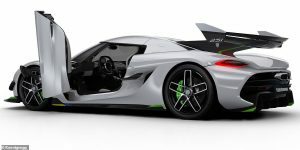 Koenigsegg, the Swedish supercar manufacturer, has unveiled the Jesko, a 300mph/482 kmh model that is suiatbelf ro driving on the road. As the Mail Online says, this comes at the same time as Volvo, the better-known Swedish car brand, made an announcement that it is putting a 112 mph/ 180 mph limit on the top speed of all its models from 2020. But that won’t worry Koenigsegg, which with the Jesko has managed to beat Bugatti, Ferrari, Lamborghini and McLaren to take the title of the manufacturer that has produced the fastest road hypercar to date. The Swedish firm claimed the milestone achievement with the release of its eighteenth model, officially unveiled for the first time at the Geneva Motor Show. With 1,578 bhp, the Jesko, which is named after owner Christian von Koenigsegg’s father, uses a five-litre twin-turbo V8 engine to achieve speeds that road drivers could only dream of before. But, it does need some help to get to that top speed. The full 1,578bhp of power is only available when the hypercar has E85 ethanol racing fuel pumped into the 5,000cc motor. The Jesko is also extremely lightweight, although not in terms of power obviously. The bodywork is a carbon fibre monocoque to keep the wight down, while the V8 engine tips the scales at just 189kg, making it the world’s lightest V-mounted eight cylinder ever. Furthermore, power from the motor is directed to the wheels using a nine-speed ‘Light Speed Transmission’ with three clutches in total, and this weighs just 90kg. Koenigsegg says this advanced gearbox is as smart as it is light and can even learn the driver’s style and select the optimal gear for a corner based on the driver’s previous behaviour. Titanium Luxury Hire prides itself on providing an exclusive personal service that meets your specific requirements. Check out our selection of supercars for hire and CONTACT US to reserve yours. The Bugatti Voiture Noire shows just how luxurious the marque is. Bugatti unveiled a one-off hypercar at Geneva Motor Show this week. The model is a homage to the Type 57SC Atlantic, which celebrates its 80th birthday this year. Bugatti only built four of these coupes between 1936 and 1938 and they remain the crown jewels of Bugatti production cars. 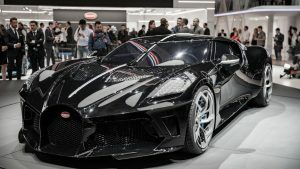 The La Voiture Noire, French for “The Black Car,” the one-off creation is based on the Bugatti Chiron platform and honours one specific Type 57SC Atlantic; the one that Jean Bugatti drove and that went missing around the onset of Would War II. The magnificent La Voiture Noire hypercar model has already been sold for $12.4 million, making it one of the most expensive luxury cars in the history of car making. It seems like a lot of money, but if a classic car collector wanted to buy a Bugatti Type 57SC Atlantic at today’s prices, it would be valued at around $100 million. The Bugatti hypercar share a number of detailas with the Atlantic. Both cars feature a dorsal line, and both cars also feature a row of six exhaust tips. Also, the taillight strip on the La Voiture Noire imitates the character line that joins the rear fenders of the Type 57SC Atlantic. And, according to the motoring press who attended the unveiling at Geneva International Motor Show 2019, Bugatti hasn’t released any performance figures. However, as we know the Voiture Noire features the Chiron’s 8.0-litre quad-turbocharged W-q6 engine that is capable of delivering 1,480 horsepower, it follows that this is a truly powerful motor. Bugatti has also announced that it is returning to coach-built cars. This is the practice of installing bespoke bodies on top of an existing chassis. The Bugatti Divo, which like the Voiture Noire is also based on the Chiron, is an example of the manufacturer’s strategy and we look forward to seeing what they produce next. We provide Bugatti rental across Europe. Hire the Bugatti Veyron and discover why this car is considered one of the most exquisite in Europe. See the Locations page for details. We can deliver your Bugatti to your hotel, home or airport. Hire a Bugatti today! 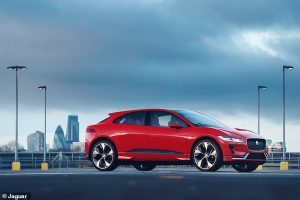 Jaguar I-PAce wins UK Car of the Year 2019. Around 12 cars were up for the gong for UK Car of the Year 2019. The panel of judges, all motoring experts who were asked to drive the cars for a year, voted the all-electric Jaguar I-Pace as the Car of the Year 2019. The I-Pace can accelerate from a standing start to 62mph/ 100 kmh in 4.5 seconds and onto a top speed of 124mph/ 200 kmh. More importantly for potential customers, it’s also has a claimed range of up to 292 miles/ 470 km on a single charge, and can be charged to 80 per cent battery capacity in 40 minutes from a 100kW DC charger. The Rolls-Royce Cullinan won the prize for the Luxury Car section and the Bentley Continental GT won the Best Coupé award. Titanium Luxury Hire has a selection of Jaguar models for hire in Europe – CONTACT US for more information. Lewis Hamilton wants to build an LH Edition of the new Mercedes-AMG hypercar. Lewis Hamilton is an avid car collector as well as a leading Formula 1 driver. 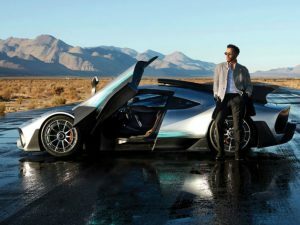 Currently he drives for Mercedes AMG, and recently he told Top Gear that his dream is to create a very special edition of Mercedes-AMG’s incoming hypercar (known as Project One). Utlimately, what Lewis Hamilton wants is a Mercedes AMG special ‘LH Edition’. And what tweaks might Lewis Hamilton make to his special edition Mercedes AMG? “I’d probably change the exhaust system, make it a bit louder. I’d naturally want to push Andy Cowell (head of Merc-AMG’s F1 powertrains) to give it a little bit more power,” he said. Given that the Project One model already has in excess of 1,000bhp from its 1.6-litre turbo hybrid V6, it is hard to imagine how powerful the LH Edition would be. Titanium Luxury Hire has a stunning Mercedes AMG GTS for hire. And a cool range of other Mercedes models that we deliver to locations around Europe. CONTACT US for more information.